Cluebebe Diaper is a premium modern cloth diaper made in Indonesia. Cluebebe cloth diaper helps you save money, save the planet, and most importantly, save your baby from wetness. The Cluebebe Reusable Pocket Diaper can accommodate your babies’ need for dryness. One size fits newborn babies up to 15 kilograms. These nappies are your typical modern cloth diapers, so no worries from complicated usage. Simply stuff absorbent inserts inside the pocket opening, and it’s ready for use. You may even add more inserts for your desired absorbency. The Cluebebe Reusable Pocket Diaper is made from high-quality PUL Fabric that is water resistant and super-absorbent 380 GSM microfiber insert to keep your baby from rashes caused by wet nights. The inner lining is a stay-dry hypo-allergenic microfleece which gives your baby that dry and comfy feeling. But it’s not only beneficial for your babies. 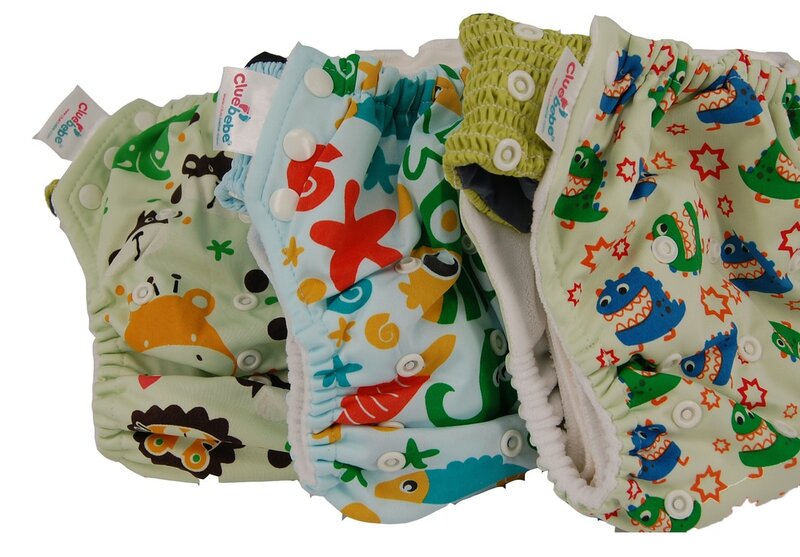 Since these are reusable diapers, they help clean the environment, and save you from big expenses as well. Give your baby the sound sleep he deserves, without the heavy spend. Do this while keeping the planet clean with Cluebebe Reusable Pocket Diaper.